This is part two of prominent lawyer Subhas Anadan writing about his experiences with Law Society's presidents. The first part about self-exiled lawyer and former solicitor general, Francis Seow, can be found here. After Francis Seow stepped down, Giam Chin Toon took over. He had lost to Francis Seow the previous year. Giam was a very unassuming person and not very eloquent or demanding. But he had the knack of getting the right people to do the right things and he would get the job done. In that sense, he was an effective leader. Of course, he paled in comparison with Francis Seow, who was flamboyant and outgoing. Giam was the opposite. He was quiet and was not interested in publicity. He just wanted to be left alone to do his work. I still remember the time when Giam met with an accident during his tenure. He was driving his Porsche when he knocked down a cyclist against the flow of traffic. The cyclist, an old man, was riding up a slope and Giam couldn’t see him in time to avoid him. The cyclist died. Giam was badly shaken up but he still attended the council meeting and was re-elected president of the Law Society for a second year. I recall the man’s family was threatening him. In fact during the coroner’s inquiry, word went around that the family was going to create a scene and possibly harm Giam. I was asked by some council members to show support for him in court and I roped in some lawyers to join me. We hung around there to make sure that nothing happened to Giam. He was a friend and our President. We felt that it was our duty to ensure that nothing happened to him. Finally the matter was settled. Giam was not charged because he was simply not responsible for the accident. 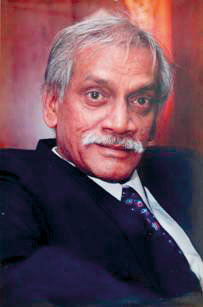 After his term was over, Chelvarajah, who was his vice-president took over as president of the Law Society. Chelva is remembered for his courage in speaking out over Chief Justice Yong Pung How’s demands to get things done quickly. The Chief Justice wanted backlogs cleared quickly. He did not want justice to be delayed, all the time emphasising that justice delayed is justice denied. He was always rushing everyone. He wanted the law to be swift but in his enthusiasm, he did not take into consideration the practical problems lawyers faced, for instance, when bringing in foreign witnesses in time for trials. No quarters were given. The registrar was given instructions to issue early dates and to clear the cases quickly. If people could not accept the dates given, the registrar was told to strike off the court action. It was getting to be a very serious problem. 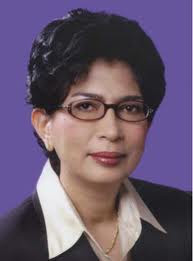 At an annual dinner held during his term as president between 1990 and 1992, where the Guest of Honour was then Prime Minister Goh Chok Tong, Chelva made his speech. He took a dig at the Chief Justice, who was present at the dinner, when he said: “When we talk about justice delayed being justice denied, we must also remember that justice hurried is justice buried.” There was practically a standing ovation for him because he had put it so aptly at the appropriate time. I think it took a lot of guts for the Law Society president to stand up and say that. Though enthusiastically received, his speech did not have any effect on the judicial administration. Cases were still being rushed but I felt Chelva made his point that evening. After Chelva, we had Peter Low as president for two years. He was a very insipid president, not noted for anything good or bad. He did not make any changes and there was no effect on the Law Society or on the layers. He just plodded along. How he managed to remain president for two years, no one knows. That’s all I can say about him. After Peter Low, came another friend of mine, Chandra Mohan. 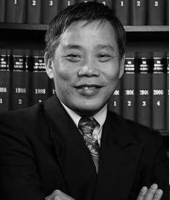 He used to clash with Chief Justice Yong on policies, the Legal Profession Act and many other matters. He was quite bold and spoke his mind. The next president was the late R Palakrishnan. During his three-year tenure, there wasn’t much dispute between him and the judiciary. In fact, we called him a ”yes” man because practically everything the Chief Justice wanted, he gave. I suppose that was the best way out. There was no point fighting if you were not going to win anyway. You might as well give in gracefully and reap the ensuing rewards. Arfat Selvam took over from Palakrishnan. She was a disaster. She did not read the minds of the lawyers. There was an attempt to pass a vote of no-confidence against her and her council by the general body of lawyers. I think it’s the first time in the history of the Law Society that such a motion was tabled. After two hours of serious debate, my good friend, Lee Tow Kiat, wisely suggested that the meeting be adjourned. That motion was carried and the meeting was reconvened again. After the incident, I think she decided that she had enough after being president for one year. She stood down. She blamed me amongst others for making her life as president miserable and blamed us for all the problems she had. In some ways what she said was true. We also had Philip Jeyaretnam, another effective president. During his time, we set up the Association of Criminal Layers of Singapore. He misunderstood the motive behind its formation and clashed with us. We hit back at him. There were some antagonistic exchanges between the both of us. Finally, during his last few months as president, we met for lunch and managed to resolve our differences. We realised that it was all a case of miscommunication. After Jeyaretnam, we had Michael Hwang, who is the current president. To me, he seems to be doing well and making the right moves, but others say “a new broom sweeps clean”. We’ll have to wait and see how his tenure progresses. I am not in a position to say much about other Law Society presidents. I know Harry Elias very well. He was president before Francis Seow. I worked with Harry in some of his sub-committees. I know T P B Menon who was president for four years. He managed to run the Law Society with a small secretariat. People like him did not have the luxury of the type of secretariat the current president has. The write up above is untrue and not particularly well substantiated. The above past Presidents of the Law Society were well-respected and had their own means of communication to provoke reform. In particular, the write-up's criticism flies in the face of public opinion - and worse, flies in the face of what the legal profession truly epitomises by reprimanding those at the top of their game.